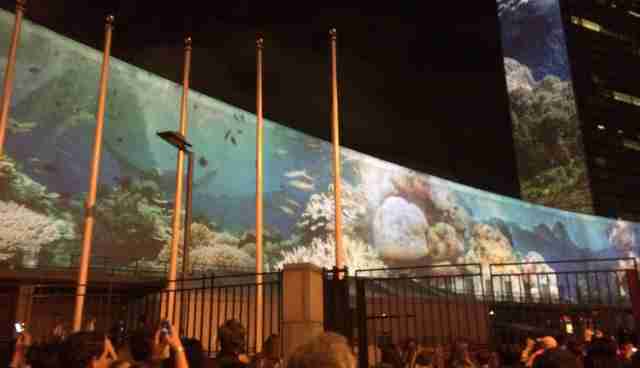 The bright lights of New York City looked a bit different Saturday night, when endangered species images were splashed across the facade of the United Nations Headquarters. A 30-story projection show co-sponsored by The Dodo told the story of climate change as it relates to animals, ahead of the UN Climate Summit. The projections "are a call to action on the most urgent issue of our times," Academy Award-winning producer Fisher Stevens said ahead of the event. Professional racecar driver Leilani Münter kicked off the event by arriving in a Tesla fitted with a mobile projection unit. Shawn Heinrichs, a cinematographer and diver featured in the film, told The Dodo that he hopes the event will prompt others around the world to host similar calls to action. "This is just the beginning of events like this," he said. 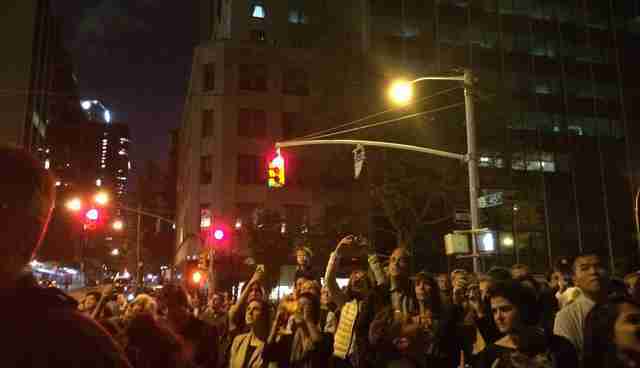 "This is a chain reaction that we hope will be lighting up around the world." Heinrichs, who was on the front lines of the endangered species investigations featured in "Racing Extinction," said that the threat of climate change is urgent - but not a reason to lose hope. "The hope is that people take the message and amplify it instead of us having to shove it down their throats." 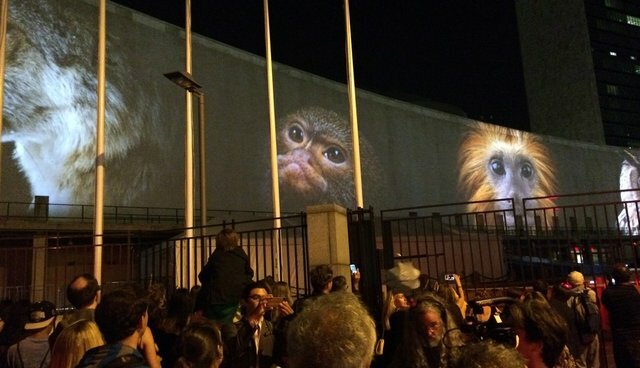 The animals appeared on the west facade of the General Assembly Hall and the north facade of the Secretariat building for the event titled "illUmiNations." The event featured an 11-minute visual showcase designed by Obscura Digital, including a 3-minute solutions segment with the photographic works of Yann Arthus-Bertrand, telling the story of climate change and highlighting actions that governments, businesses, industry and civil society can take to shift toward a low-carbon economy and strengthen adaptation strategies. 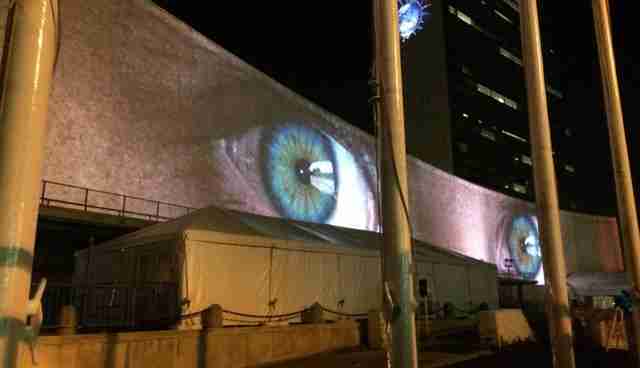 The finale of the projection show included the photographic works of Sebastião Salgado. The United Nations Department of Public Information presented the show in partnership with Obscura Digital and the Oceanic Preservation Society, ahead of OPS's upcoming endangered species documentary "Racing Extinction." Learn more about the illUmiNations event and efforts to protect endangered species here.